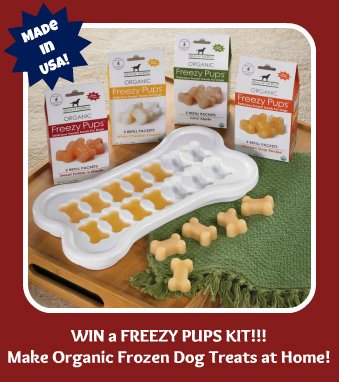 Giveaway: Win a Freezy Pups Kit and Make Organic Frozen Dog Treats at Home! Feeling Lucky? 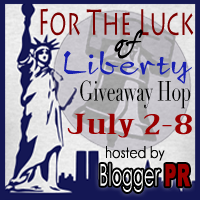 Just in time for the 4th of July Holiday, we’ve partnered with 90+ bloggers to bring you the Luck of Liberty Giveaway Hop presented by BloggerPR. After entering OUR giveaway here, be sure to hop around and visit the other participating blogs for even more chances to try your luck and win all kinds of fantastic prizes! 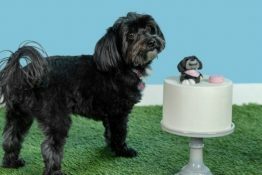 Treat your dog to fun, hydrating, and easy to make-at-home frozen treats from Freezy Pets. 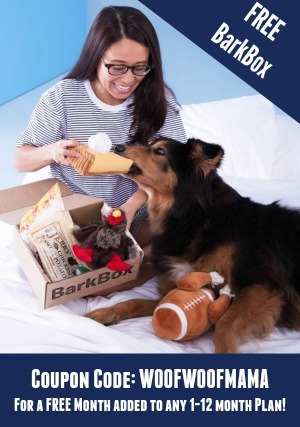 The starter kit includes a freezer tray to make bone shaped frozen dog treats, and packs of four gourmet recipes your dog will love! 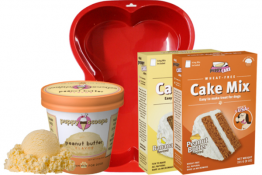 The treat mix is organic, made in the USA and the tray is made from non toxic, food grade, recyclable material! You can see how easy they are to make, and how much Daisy loved them in our recent Freezy Pups Product Review post. One Lucky Reader will WIN a Freezy Pups Starter Kit with Freezer Tray and 4 Packs of Organic Recipe Mix! This giveaway runs thru July 8, 2012, is open to US residents age 18+ and uses the Rafflecopter Widget for FAST and EASY ENTRY! There are many OPTIONAL entry methods to give you additional chances to win, but just choose the ones you want. Email addresses and other info are only used to verify and contact the winner. Rest assured that your information will never be sold or shared with anyone. All entry methods are subject to verification. Please make sure you provide all required information or your entries won’t count! Now go visit the other blogs participating in the Luck of Liberty Giveaway Hop and enter to WIN more Prizes! GOOD LUCK!!! My dogs scramble for any ice cubes that hit the floor! They would be in heaven getting frozen treats during the hot summer! My dog loves frozen snacks and he also LOVES chicken, so I believe he would totally love the Chicken Soup flavor! I think my pooch would like chicken soup flavored treats. He loves frozen treats! My dogs love frozen treats and they would like either the White Cheddar or the chicken soup. Lu and Wally would love the Sweet Potato ‘n Maple flavor! my black lab loves ice! he would love the chicken soup flavor the best! such a cute idea! Well, I might not have any dogs, but I do know my cats LOVE the white cheddar and the chicken broth freezy pups! Woofgang loves the sweet potato and maple flavor. my dog loves frozen treats, and its hot here in SoCal. My dog loves frozen treats on hots days like we’ve been having! Veggie treats are the best!! My dog would love the chicken soup flavor. My dogs like frozen treats and I think they would love the chicken soup flavor. White cheddar cheese for sure! Our puppy LOVES ice cubes…the old dog, not as much. Sweet potato and Maple sounds great but I think they would eat any of them! THANK U FOR THIS AWESOME GIVEAWAY!!!! 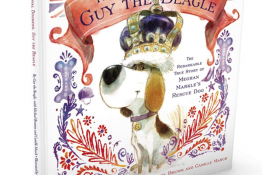 I am ALWAYS up for ANY giveaways, contests of whatever if it’s for the animals & I LOVE my dog Speigel & want to try & win this for him! He LOVES ice ream, ice water (has to have ice in it) so, I would be excited to try these out for him!!!!! Just wonderful!!!!! my dogs like ice cream. they used to enjoy ice cubes when they were younger, but stopped eating them a couple of years ago. Cooper really loves his frozen treats (especially with the recent heat waves to help keep him cool)! I’m sure the Apple flavor would be his FAST FAVORITE! Our dogs and pygmy goats love when I pour ice into their water troughs! And they love Otter Pops! So I’m sure these would be a hit, too! Molly never tried a frozen treat. She doesn’t really go after ice cubes. My dogs loveeee ice cubes….I think they would love chedar cheese.. Both of my dogs like frozen treats and ice cubes. And as it keeps getting hotter this summer, the more they appreciate the cooling relief that they bring. My 2 dogs like ice cubes. My dog loves ice cubes. Our 4 dogs all love ice cubes…we give them lots on hots days! Can’t wait to try these out and give my pups the chicken flavor! Our dogs love ice cubes! They beg for them! My chihuahua loves ice cubes. I have never given him frozen treats, but I bet he would love them! I think he would go for the Chicken Soup flavor, and then I could also make him some from soup that I made maybe. My dog loves ice cubes! annie the dog eats anything! Chicken soup might be the choice! Ralphie not only loves frozen treats and ice cubes, he would love the White Cheddar Cheese flavor! Schooner and Skipper love ice cubes. They love raw frozen chicken wings too! Dumpling loves ice cubes. I think he would like all the flavors, but his favorite would be the White Cheddar Cheese. He loves ice! I think he’d like the Sweet Potato. I’ve never offered our dog frozen treats, but I’m sure he’d love them especially Chicken Soup flavor! Either Sweet Potato ‘n Maple or Chicken Soup! My pup loves frozen goodies and I bet she’ll really like the Chicken Soup flavor! Vix likes frozen treats especially frozen vanilla yogurt. She also loves popsicles. Ice cream too though she only gets a small bit of it. Ice cubes no, though my Springer used to eat them. Flavour wise I think she’d like the White Cheddar Cheese. Thanks for the giveaway. All 4 of my dogs love frozen treats, espically when it is very hot like it has been. My boys love eating ice and I think they would like the chicken soup flavor. Our dog LOVES frozen treats whenever the freezer opens he is there waiting for us to drop an ice cube for him! It is funny to watch him dip for ice cubes. My dog loves frozen treats! Sometimes I’ll put her food in a bowl (on a hot day), add water, then freeze it … she loves it. LOL. I think she’d like the sweet potato ‘n maple flavor! I think that my Pom would love the White Cheddar Cheese! My dog loves ice cream. I buy cones and give him a little bit in a cone and he’s a happy dog. 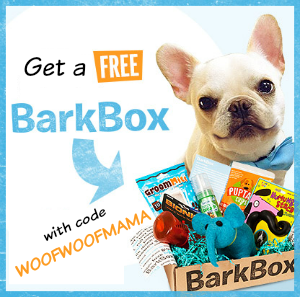 I do not know if my dog would like them, but I would love to give them a try! She might – haven’t tried yet! She’s a pretty picky puppy, but I bet she’d like something cold in this hot weather. my two min pins LOVE frozen treats!!!!! !